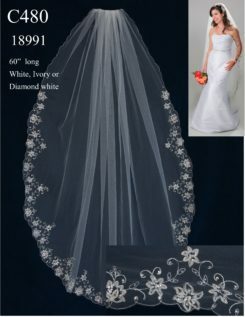 Giselle Veil SP198 is a stunning fingertip veil. 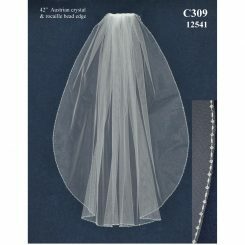 This veil has a decorated edge consisting of crystals, silver bugle and seed beads. 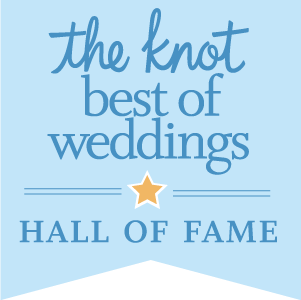 Giselle products are made from the highest quality materials and are guaranteed to make your wedding day special! 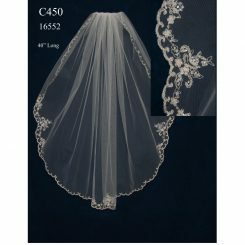 Giselle Veil SP198 is a stunning traditional veil with beautiful embellishment. 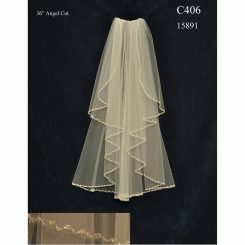 Giselle veils are made from the highest quality materials. 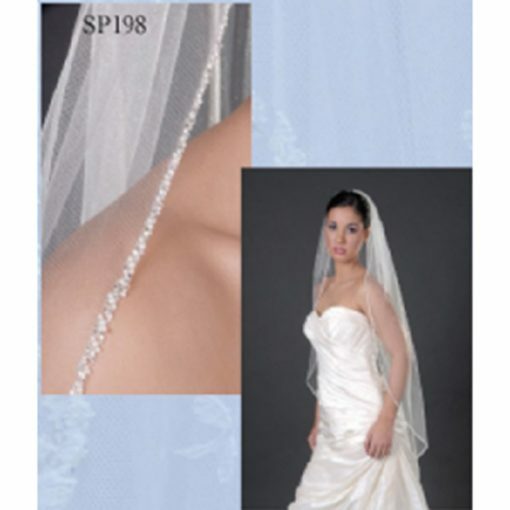 It has a decorated edge consisting of crystals, silver bugle and seed beads. 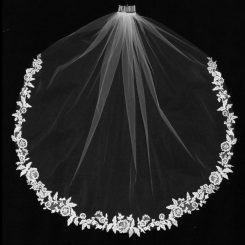 The veil measures 42″ long by 54″ wide; this is a fingertip veil. 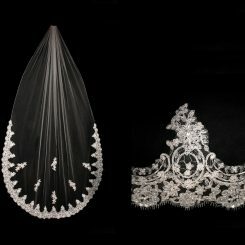 The SP198, like all Giselle veils, is available in White, Ivory, and Diamond White and comes on a 4″ comb. 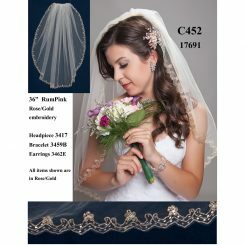 The comb keeps the veil tightly in place, leaving it secure. Giselle Veil SP198 is the perfect bridal veil, adding elegance to your wedding attire.